Ariana Grande pays homage to Mac Miller before kicking off her Sweetener Tour. It appears as if the memory of the late rapper is still intact in the heart of singer Ariana Grande as she paid tribute to Mac Miller while commencing her Sweetener tour on an emotional note. The 25-year-old singer gave a sentimental start to her tour in Albany, New York on Monday night on the first stop of her tour, through which she is set to head out across the world to ooze the audience with her chart-topping songs. In fact, Grande's fans took to social media moments before the show at the Times Union Center stating that some Mac Miller songs blended in the background as fans eagerly anticipated the Bang Bang singer to make her phenomenal presence known in the stage. 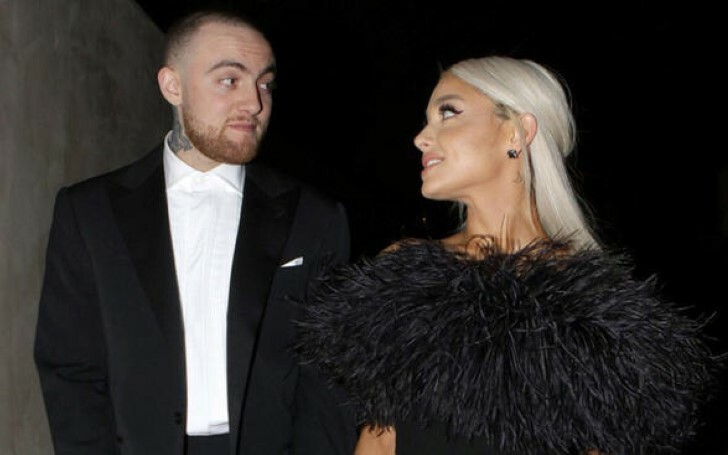 Ariana has paid tribute to her ex-boyfriend in a variety of occasions following his sudden and tragic demise back on Sept. 7, 2018, aged 26. In fact, the rapper met an untimely death due to mixed drug toxicity. As an extreme example, two months after Miller's death she altered her tattoo dedicated to ex-fiancé Pete Davidson with one meant for the deceased rapper. To further elaborate, the Grammy-winning singer changed Davidson's father's FDNY badge number '8418' ink to the rapper's dog name Myron. The widely acclaimed pop sensation bagged her first Grammy award this year, although she didn't make an appearance at the show. In addition, she also got nominated for Best Pop Vocal Performance for her album God is a woman. Grande still stunned the audience as she dressed up in a stunning baby blue Zac Posen gown for the after party. In addition, the dress made her look like the real-life depiction of Cinderella. As a matter of fact, the phenomenal singer picked up her first ever Grammy, for the best pop vocal album for Sweetener, that she is touring for as of late. Given Grande and her trend of providing homage to ex-boyfriend Miller, the New York show is the only one that the audience will get a taste of the rapper's music. She is just starting her global tour and there are a lot of tributes yet to come.